‘Upchurch’ was my first book, published by BAR in their no-frills fashion directly from my manuscript. It was a distilled-down version of my PhD thesis, typed on a 256k Amstrad. Incredibly the statistics were processed on a 124k Spectrum fed by a tape recorder and viewed via a black and white portable television. As the BAR is now out of print the Kent Archaeological Society have put the entire text onto their website. The PhD project was enormous fun. I moved to Chatham to be closer to the area I was working in, and grew to know dozens of people working in archaeology in the region. Many ‘professional’ archaeologists and ‘amateurs’ assisted my work and although some are still my friends today, many have since died. 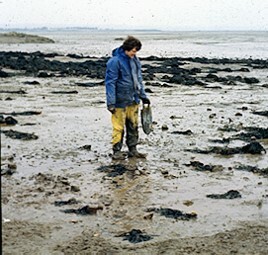 Fieldwork included slopping out onto the mud of the Medway estuary and the Thames foreshore – places that will swallow the unwary up to the waist in black goo and leave them victim to a rapidly advancing tide that can sweep in from unpredictable directions. Space, clean air, a flat horizon – the memories are still sharp. Spotting intact Roman pots sticking out of the mud is a thrill that never escapes me. Coming home black and stinking of mud, fish and seaweed was another matter. I spent days in the museums of the region – their lofts and cellars, hunting out the pottery that interested me. I photographed it in back yards, drew it on my drawing board, counted and weighed it. 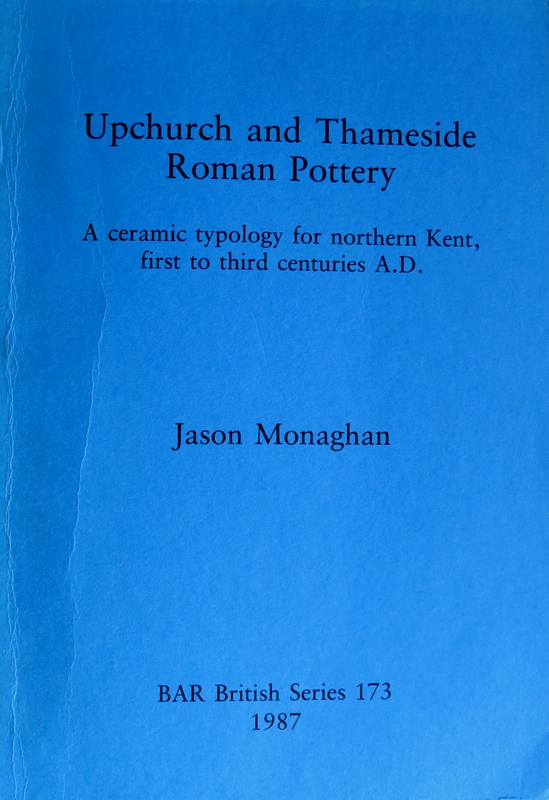 Joining the Roman Pottery Study group I learned a craft which sustained me for a decade afterwards. Something else came from the fieldwork: inspiration for my first novel. Those Museum cellars and lofts, the megaliths on rolling downland and isolated manor houses in treacherous marshland all came into play when I came to write Darkness Rises.